If I have to choose 3 critical success factors in achieving success in your career, these would be my choices – Belief, Action and Discipline. Of course, I do not deny that there are other critical factors that can determine one’s career success. My opinion is that if there were such a thing as simplifying the factors that determines success, then these would be the three. In order for you to achieve anything in your career, in fact your life - you have to first believe. You need to believe in yourself that you can achieve it. You need to have faith in your goals and your path to that success. Once your mind is convinced that you can do it, nothing is impossible. Belief is the ‘mind and heart’ part of your 3 critical success factors. It is the ‘think and feel’ part of it. Nothing moves until you do something. Believing alone is not going to achieve anything for you. It must be followed up with concrete action. Your plan for career success is nothing unless you act upon it whole-heartedly. When you act upon what you believe, there is focus. And there is energy. That energy propels you to greater heights. Action is the ‘hands and legs’ part of your 3 critical success factors. It is the ‘do’ part of it. Action in itself is not enough to increase the chances of success. But disciplined action would do that. One of the main reasons why people fail is that there is no discipline in their action. They give themselves excuses why they cannot consistently follow up on their plans. There is no self-control to their action. You would need some form of sacrifice if you were to achieve a certain degree of success in your career. For example, sacrificing some personal time to do initiatives. That sacrifice takes discipline. Discipline also ensures that you can be persistent. Especially when faced with challenges after challenges in their journey to success. Discipline is the ‘untiring, determined hands and legs’ part of your 3 critical success factors. It is the ‘no excuse, persistently doing and doing’ part of it. When what you think, feel and do becomes one, there is nothing that can stop you from achieving career success. In fact, these are my 3 critical success factors in life. Before you can achieve success, you need to define what success means to you. It’s no big secret that you are your own career success maker. Here are 4 reasons why. Define Success: Is Achieving A Goal Really A Success? How does one define success? This particular framework I read helped me shape my definition of success. To achieve career success, there are a few concepts you need to understand. What are the basic points you need to consider? What Are the Seven Habits Highly Successful People Practice? What habits do these successful people have in common? What are the attitudes in the workplace that helps you pursue career success? There are many factors that determine your career success. What is the key success factor that ensures your dream of career success is alive? Before you ask for a success recipe, you need to decide what is the success dish you are going to cook? You should know what success recipe you would choose once you have decided on your success dish. Here are some career success ingredients you need. Your career success recipe is made out of many components. You should know by now what success dish you want to cook. You should also know the key ingredients needed in this success recipe. Enjoying the process of career success is the next step. Do you know what it takes in this process and what is the success recipe? Striking a balance while pushing for career success is the last part of your career success recipe. 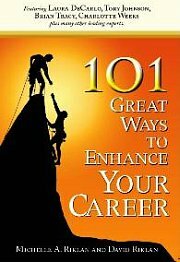 You have now seen an overview of what a career success recipe consists. Sometimes it is inspiring to read what successful people say about success. Here is a compilation of over 130 famous quotes about success. This is Part 1 of the 9 crucial things you need to know for career success. This is Part 2 of the 9 crucial things you need to know for career success. This is Part 3 of the 9 crucial things you need to know for career success. If I have to choose 3 critical success factors in achieving success in your career, these would be my choices.